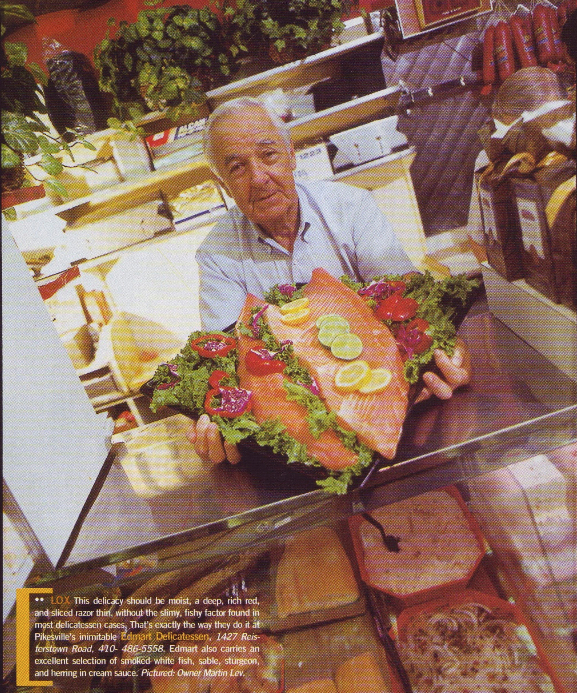 Edmart is a gourmet and specialty foods store, featuring world famous brisket, corned beef, turkey, pastrami, Kosher hot dogs, and whitefish salad. We’re also famous for our chopped liver! Many a sly grandmother has tried to pass it off as her own. Our deli and dairy trays are perfect for any occasion. Our deli sandwiches are always served on your choice of fresh-baked rye, wheat or white bread, and our lox is served on fresh-baked, authentic NY bagels. We also feature a delicious array of pareve and dairy dessert trays, gourmet chocolates, and Zenobia pistachios nuts, when you’re in need of a treat! Please visit What We Sell to take a look at what’s inside the store. 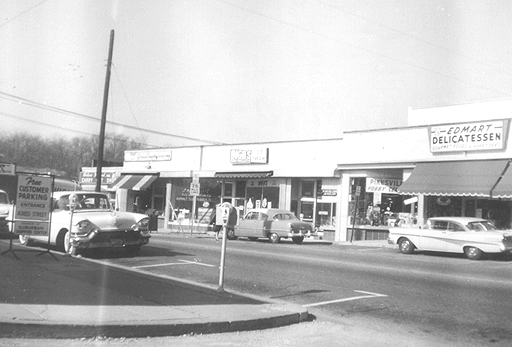 Edmart was established in 1958 and has been a family-owned business for fifty-four years. We still use the same old-fashioned recipes and high-quality meats that have made us a favorite of Baltimore Magazine, The Washington Post, the City Paper, and now Food Network. Edmart isn’t just a deli. We are a gourmet food store and a favorite place for lunch. We cater events for all occasions, making our food a tradition for families in the Baltimore community, and beyond. Watch us on the season premiere of Food Networks hit show "The Best thing I Ever Ate"
Episode EV0404 "At a Deli"